Was there ever a generation that has been so frequently analysed as the Millennials? Born and raised while Larry Page was codifying the entire world’s information, they entered adulthood with technology in the palm of their hands. By the time they hit the workplace, they were being tabled as the most connected, the most demanding, and, here’s the crunch, the noisiest of generations – simply because there were more of them. By 2025, 75 per cent of the global workforce will be Millennials and they will bring with them greater expectations of their employers. For a start, they want businesses to take a more responsible approach to the wider world. They want employers to have ethics, work to have meaning, and (good Lord!) they also want to have fun. Some commentators, such as Simon Sinek, have notoriously claimed that they feel more entitled than those that went before them, which makes them pretty difficult to manage. Well now the joke is on everyone else. Why? Because, having been in the workplace for 10 years or so, many of the more ambitious Millennials are now becoming managers themselves. The chances are that if you were born before 1984 and are not a manager yourself, your boss will soon be one of Generation Y, or as the Chinese call them, ‘ken lao zu’ – the generation that eats the old. For insight into the high-flying Millennial Manager, I went to Deloitte’s Annual Global Millennial Survey that, since 2011, has provided in-depth analysis of graduates from the developed and developing world, working in full-time employment. Constant themes emerge that Millennials are keen to work for companies with vision and they believe the success of a business should be measured in terms of more than just its financial performance. According to the latest report: “Business has the potential to be a force for positive change that shines through as a core belief of the Millennial generation.” They prefer to work in less hierarchical and more collaborative cultures, where people take personal accountability. In the UK, there is also a strong rejection of the view that level of responsibility should be directly linked to seniority or pay. For themselves, Millennials are also looking to the longer view. They want to own their own homes, find a partner for life, and strive for financial security that allows them to save enough money for retirement. At the same time, they seek a good work-life balance and they expect access to technology to enable greater flexibility in their working arrangements. For sure, Millennials want to play a part in changing society for the better, “but in so doing, they wish to stay true to their personal values”. So, with such high standards themselves, how are Millennials expected to fare as managers? According to Deloitte in 2016, the emphasis on personal values will continue into the boardroom and Millennial leaders are expected to base their decisions as much on personal values as on the achievement of specific targets or goals. However, although Millennials regard leadership skills as the most prized attributes, less than 25 per cent think leadership was a strong personal trait of theirs on graduation and believe that businesses are not doing enough to bridge the gap. Subsequently, they regard their own development as far from complete. Such self-awareness is encouraging and points to a generation that is primed for continuous learning. Heralding the arrival of more Millennials into the C-suite, the 2017 survey dedicated part of its investigation to the view that Millennials have of the next generation. While mainly positive about the impact of Gen Z on the future workplace, they regard the gap in leadership skills continuing into the next generation. Millennials point to the need for their younger colleagues to develop softer skills – such as patience, maturity and integrity – rather than technical or specific knowledge. “Senior Millennials rated information technology and social media skills as being of relatively low importance – especially when compared to attributes such as communication, flexibility, leadership, and the ability to think creatively and to generate new ideas.” Their practical advice includes working hard, being open-minded and ready to learn as much as possible, and from others. All this is valuable intelligence. But one of the issues I have with commentators on the Millennial Generation and the future of work is that the bias is painfully skewed towards the younger end of the working population and too little attention is given to the growing demographic bubble at the other end of the working life. One of the greatest challenges for the Millennial Manager is that they will be running companies that encompass four, if not five generations of employees, as increasingly older and healthier workers remain at work beyond traditional retirement ages. If they are to capture the learning from hard-earned experience, they will need to include healthy Baby Boomer employees in the equation. This is not simply a case of swapping digital savviness with emotional intelligence, or youthful curiosity with the patience of maturity. Cross-generational partnering and mentoring has its place and some companies have already created such exchanges with good results in the past. The task for Millennial Managers is more about challenging and changing the attitudes of countless generations before them, who have regarded older workers as more expensive, more intransigent, less energetic and less productive. The problem is that, as with the stereotypical statements about Millennials, we have all seen enough examples of the uncomfortable truth. Some older employees do have complicated health issues, remain obstinate about adopting new systems or technology, refuse to listen and are patronising about untested ideas. But the more emphatic truth is that, just like their younger colleagues, the vast majority of Baby Boomers want to work in a meaningful role, where their contribution is valued, and where they can keep adapting their skills for a longer working life. 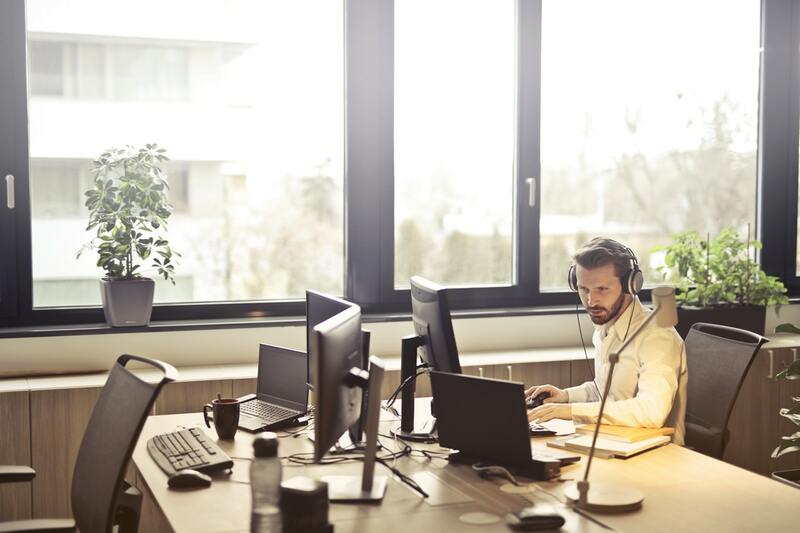 Like the Millennials, they may need flexible working practices, albeit for different reasons, but while they are at work they are some of the most loyal and productive contributors. According to a leading article in The Economist’s World in 2018, “intolerance of ageism should be the hot corporate cause of 2018” and prejudice against older workers needs to be fought on many fronts. Well said. But from my own experience of working with a multigenerational team, that means understanding the depth and diversity of people within each generation, rather than flinging headlines at each other. We should all practice what we preach and be open to learning from people as well as statistics. When we explore the personal motivations and values of each individual, we will find there is more that unites us than divides us. Listening to Millennials, I find people with a sense of purpose and work ethic that is not so different from my own. They want the world to be a better place and to be respected for their role in it. They have all the hope and optimism that I had when I was 30. What they lack in experience, they make up for in knowledge, or at least the access to it. They sometimes appear to have supreme self-confidence, but that is because if they don’t know all the answers, they are hard-wired to go and look for them. My hope for the future of business is that the Millennial Manager will apply all their intelligence to solving the problems in the workplace where previous generations have failed. But before we ask them to turn the tables on ageism, we need to cut the ageist crap that is constantly flung at them. Then I believe they are well up for the job.